MD Office Reminder - Annual Reports & Personal Property Reports Due by April 15th! We promised you more news out of Maryland in our Announcement about opening our Annapolis Office and the services we offer there. What better to talk about today but the Maryland Annual Reports & Personal Property Reports are due by April 15th. They are due for ALL Domestic and Foreign entities registered with the Department of Assessment and Taxation. But did you know that Maryland doesn’t send you a reminder about these reports? Or if you miss just one filing you will become Forfeited? Finally, to be Reinstated is costly and time-consuming! Don’t worry — we’ve got you covered with our Annual Report Filing Service or our Annual Report Monitoring Service! Annual Report Filing Service: Did you know the State made a change to their reporting and now only require an Annual Report* for some entities? Sign up for ARFS and we’ll take the worry off of you to file your Annual Report each year! Annual Report Monitoring Service: If you are still required to file a PPR*, we can offer you ARMS to remind you that the filing is coming due and avoid the costly error of missing the due date! If you’d like more information about our services in Maryland our would like to learn more about our compliance services, please call our main number at 800.346.4646 or email us at info@incserv.com. 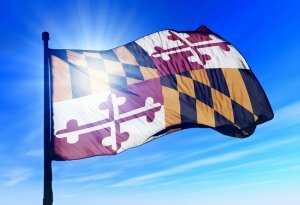 Stay tuned to this blog series as we announce new services and information about our new Maryland Office in the historic capital city of Annapolis! *the Annual Report has a series of four YES or NO questions which will guide you to whether a PPR is required.